Cyclop for iPad is our fully featured port of the desktop version. 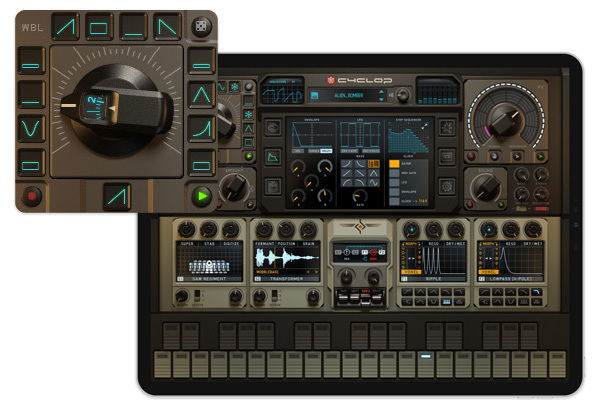 Its unparalleled connectivity options, complete integration with the desktop app and the flexible internal modulation system make it a fine addition to any mobile producer's arsenal. 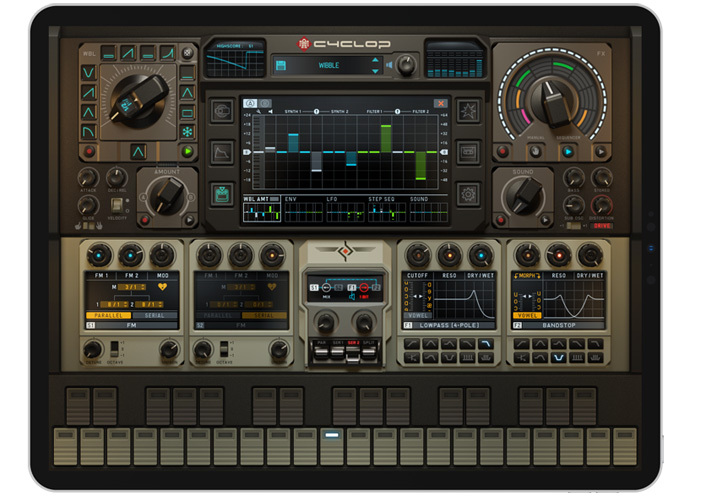 The iPad version of Cyclop accepts regular MIDI (external, network and internal) for both notes and control options; there is a MIDI Learn feature built in. If you are using a MIDI keyboard with some control options, you can assign any of Cyclop’s controls. Just tap and hold on a control. For hands-on, real-time control you have plenty of options. Moving presets between the desktop app and the iPad couldn't be easier with iTunes' File Sharing option, so you can continue to work on ideas you had on the go and use them in a desktop project. With these external wiring options, Cyclop will blend in nicely with your studio hardware. 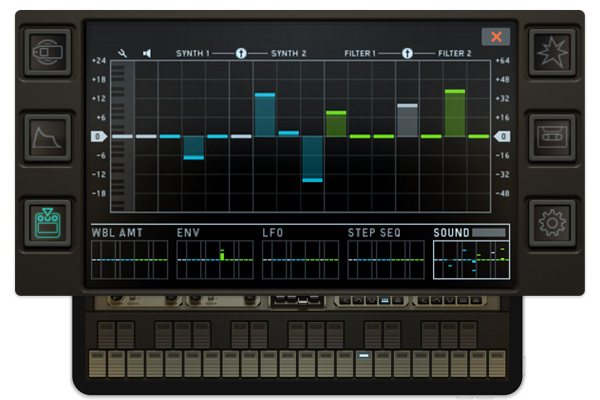 Cyclop is full of open doors for a seamless integration into any mobile music-making setup. We built in support for Apple's Inter-App Audio, Audiobus & we were one of the first developers to implement Ableton Link. We believe app-to-app routing, being able to use multiple apps at the same time & mixing together the audio is what many iOS musicians want. 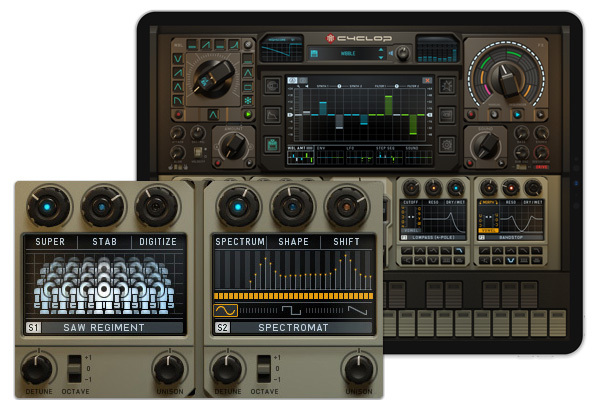 We will continue to support any effort that aims at improving the workflow of making music on an iPad. A sick sounding synth with attitude and programmability! Of course, there is a lot more to describe in regard to Cyclop—It has an amazing FX sequencer, 6x2 Synthesizer engines, 10x2 Filter Engines, and the list goes on and on. But, the long and the short of it—it's a few bucks for a Sugar Bytes synth on your iPad. Buy it now!